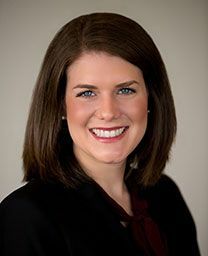 Ms. Dougherty’s practice focuses primarily on the defense of claims arising under the Longshore and Harbor Workers’ Compensation Act (LHWCA) and the Defense Base Act (DBA). Ms. Dougherty earned a Bachelor of Arts degree in Anthropology with a Minor in History from The University of Arkansas at Fayetteville. There, she served as a Senator and was appointed to a Cabinet position with the Associated Student Government. Ms. Dougherty earned a Doctor of Jurisprudence from South Texas College of Law, where she worked as a Research Assistant for a fellow professor.